So education, at this point, may be the most important digital vaccine against the spread of the disease. 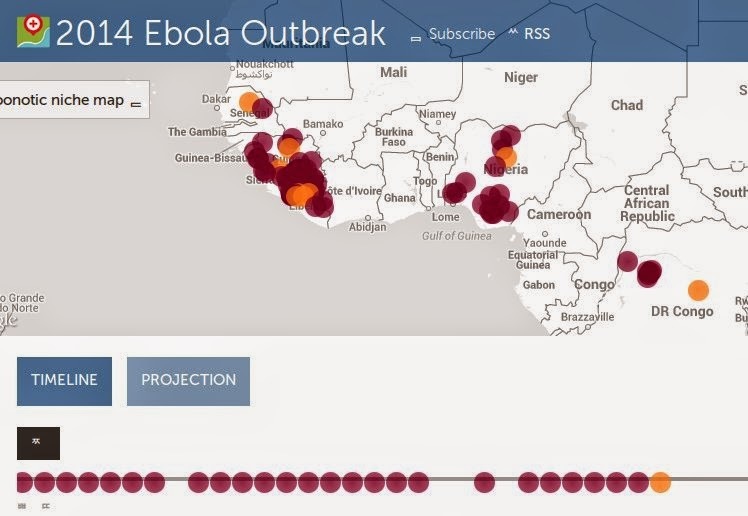 Ola Rosling and I recently gave a talk at Online Educa on the digital context of Ebola. Ola's father, Hans Rosling, is in West Africa, trying to get clean data at source, in order to help quantify the problem, so that resources can be better targeted. This is not easy. In countries where infrastructure and literacy is poor, collecting data is not trivial. Collecting it is hard, as much needs to come from remote areas and treatment centres. Even when it is collected it can be wrong. There is alsomthe problem of governments not wanting to tell people the truth which the data may reveal. Hans has found himself having to pay people's mobile phone bills from his own pocket just to get the channels open.This is a poor but complex environment. Despite these problems you have to admire people, like Hans, who just offer to help. How many people dies of SMALLPOX in the 20th C? Estimates lie between 300-500 million. The disease has been around for thousands of years. Marcus Aurelius, the Roman Emperor died of the disease. Yet we conquered it in 1979. This little girl, Rahima Banu, was the last case of last case of Smallpox in the world, in India. Just when the disease was thought to have been under control. A huge outbreak took place in India. It didn’t help that a deity called Shitala Mata stopped people reporting cases as they thought that smallpox was the visitation of a deity. It was bad luck to bring strangers into your house when the deity was present. Smallpox was defeated by feet on the ground and the simple technology of millions of printed pictures and posters. But now things are more dangerous, as travel by air, land and sea is getting so much better. The worry is not so much the US and Europe, where healthcare systems are capable of coping with cases, even outbreaks. The problem is travel east, where many of the word’s poor live, to places such as India and China. The lesson which epidemiologists stress time and again is EARLY DETECTION and EARLY RESPONSE. 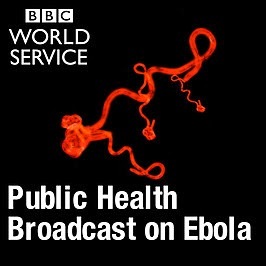 Remember that Ebola has struck before, in Sudan in 1976 and Zaire in 1979. There was even an outbreak in monkeys used for medical research in the US in 1989. This time, however, the Ebola outbreak took place in the internet age. This matters. The world now has its own nervous system, a cable, satellite and telecomm network that, especially through mobile in Africa, is constantly gathering data. We can now listen for pain points, react quickly to the key signals within the noise, for early intervention. When something threatens us, we can also use this network to deliver the equivalent of information antibodies to the point of infection, isolate that infection and get to work with information antibodies and digital vaccines to help prevent further spread. The advantage of digital is its mobile delivery on platforms such as SMS, Twitter and Whatsapp, that are already being used in situ. With web-based learning, people can receive their education and training at a distance as well as avoiding potentailly hazardous group sessions. This is not to say that practical learning by doing is unnecessary, only that much of the blend can be delivered online, using images, video and audio. At the moment there is no cure or vaccine, so digital apps and education may be the best vaccines we’ve got. 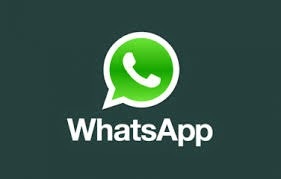 What’s Whatsapp got to do with Ebola? Trusted information provided free by the BBC, a respected brand in Africa, is now available on Whatsapp. Peter Horricks of the BBC is right when he states the simple but obvious fact that “Information will literally save lives.” It’s accessible, it works and it’s free. If you subscribe, you get three pushed messages a day in a number of media including audio and images, as literacy is an issue. Wisely, they are also delivering the messages in English and French, which matters, as some of the countries where the outbreaks are at their worst are French speaking. Indeed, the majority of the bordering countries around the outbreak are French speaking. Another great dimension to this story is the fact that it is being developed in West Africa by Innovative Technologies for Development Foundation (IT4D) a Nigerian Based Not for Profit organization, that was behind NigeriaDecide.org, a crowd sourced platform for ordinary people to prevent election rigging in Nigerian Elections.The Ebola app work coordinated by Akinmade Akintoye, CTO of CloudWare Technologies. Audio is the forgotten medium in learning, but in areas where literacy is a problem and you want to deliver authoritative voices on an important topic, it can be a powerful medium. Radio is still an important information channel in Africa. The BBC have already delivered a series of free podcasts, twice a week, debunking the myths along with other topics. So far the podcasts have covered the testimony from Sierra Leonean Ebola survivor, Yusif Koroma, the first person to have survived at the new treatment centre in Freetown's Connaught Hospital. It provides a rare insight into coping with the virus and recovering from it. In another they look at the importance of clear and accurate information which can help minimise the spread of the virus. A more formal approach is taken by the free MOOC Understanding the Ebola Virus and HowYou Can Avoid It, by the Irish organisation Alison. With over 10,000 completions, which can be taken on a range of devices, even mobiles, it provides a valuable educational experience. As Mike Feerick of Alison says "If new information is discovered about Ebola, or how to treat or avoid it, we can instantly relay it to a huge number of learners worldwide." A MOOC is a great way to get formal courses out, as they’re scalable, free and updatable. This is not possible through traditional educational institutions. There’s already a French version, with Arabic in the pipeline. 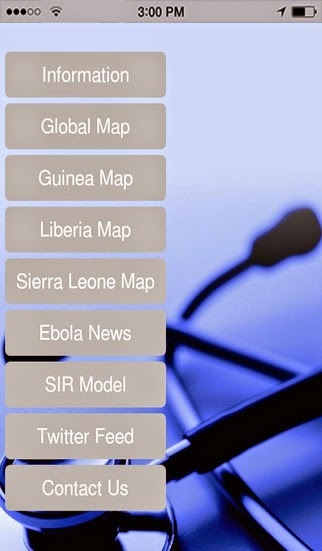 This app was credited with identifying the Ebola outbreak before the WHO. Remarkably, the first signs of fever were tracked in the forested areas of Guinea on March 19. They contacted the WHO, who got their first report many days later. The Boston Children’s Hospital Team behind the app, use algorithms to find and filter thousands of social media, news and government sites. It is this unique use of big data and algorithmic selection that is coming to the fore in disease outbreak reporting and prevention. Armil Smailhodzic’s of West Kentucky University developed an app that draws on Twitter data to identify outbreaks and news on Ebola. This app takes a different approach, in that it only tracks Twitter data. Interestingly, they found that, although people in rural Africa are suspicious of Government and outside agencies, they do Tweet. The trick was to filter Tweets from actual sources out from Tweets that just talk about those countries and sources. 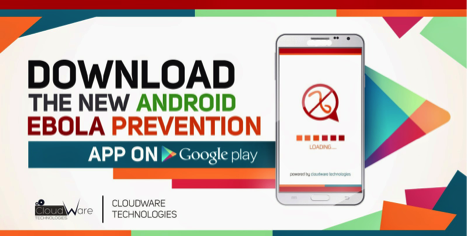 The app provides maps along with a Twitter feed on prevention and reports. Indirectly, all of you Facebookers have contributed to Ebola prevention, as Mark Zuckerberg has donated $25 million to the cause. The Gates Foundation have chipped in $50 million and Paul Allen another $12 million. Between them, they have contributed more than China, Russia, S America, Australasia and the Middle East put together. This matters, as raw money matters and Governments have been known to make promises, then take the money fromother budgets or not pay up. 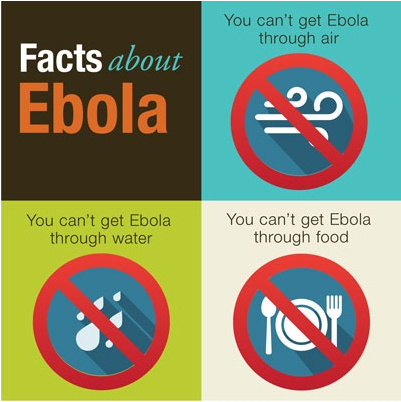 Other informative, authoritative and helpful online resources include Wikipedia, WHO and the CDC. Far from being an uninformative mess, the web provides a remarkably consistent set of resources and tools that play a significant role in prevention and control. What I like about these efforts, is the delivery is often in at least two languages, although it’s all very well to do English and French, local language production may also be necessary. This is already realised on local TV broadcasts, but surely the budget could be found to apply it to the other media, especially podcasts. Sensitivity to literacy issues has also been shown through the use of different media. I’ve taken the MOOC and looked at the other apps. It was quick and easy. This is solid stuff, well designed, well written with appropriate media and a variety of delivery channels, many to mobile. The fact that its scalable, accessible and free, with the ability to update in the light of new information, is a godsend. Love them or hate them, you use them and algorithms are here to stay. Algorithmic power drives Google, Facebook, Amazon, Netflix and many other online services, including many more professional services you use, such as communications, finance, health, transport and so on. There is some confusion here, as data is being touted as the next big thing but data is dead in the water if not interpreted and then used to change or do something. If data is the new oil, algorithmic power is the new turbo-charged engine. Another important factor here, that has led to the renewed efficacy of algorithms, is the internet. To take our transport metaphor further, if algorithms are the new rockets, the internet is the new rocket fuel, supplying and endless stream of big data to go where no man has gone before.... Houston - these metaphors are starting to break up! What role for algorithms in learning? We are now in the Age of Algorithms and so far, the most promising use of educational data is through algorithms. Yet algorithms are faceless and anonymous, hidden from view. As users, we rarely know what role they play in our lives, if we're even aware of their agency at all. Like icebergs, their power lies hidden beneath the surface, with only a user interface visible above the waterline. So let’s make them a little more visible. There are many species of algorithm in learning, with a full 5-Level taxonomy here. First there's algorithms embedded in the tech we use - mobiles, laptops, VR etc., then there's assistive algorithms such as Google search that help us find things, then analytics where we try to predict and improve things from data sets. beyond this are hybrid adaptive systems that help teachers and organisations learn. It’s like using a satnav in your car. It knows where you’ve come from, where you’re going and how to get you back when you go off course. It may even know when you need a rest and whether you’re comfortable with driving on the motorway or would be best routed through other roads. Satnavs are massively algorithmic, and personalised, as is adaptive, algorithmic teaching. In a learning journey, something similar can be implemented, where ensembles of algorithms can analyse data about the student and content, leading to real-time improvements in both. Note that they can do this in real-time and also learn as they go, matching the most appropriate content to the student at any given time. This can lead to quicker course completion, lower drop-out rates, higher attainment and lower costs. Finally there are fully autonomous learning systems, like autonomous cars, where the learner learns, without the aid if a teacher. Euclid was the first to formally write down an algorithm, with Aristotle formalising syllogistic logic. But it is the Arab mathematician Al Kwariizmi that gave us the word algorithm, through the Latinised form of his name. We then have logicians like Boole and Frege, alongside probability theorists such as Pascal, Fermat, laplace, Cardano, Berouilli and Bayes. Algorithmic thinking and AI has not sprung up out of nowhere, it has had a two and a half millennia gestation period. In 1763 a posthumously published essay by the Reverend Thomas Bayes, presented a single theorem that updated a probability when presented with new evidence. This gives you the ability to continue to update probabilities in the light of new evidence, new predictors and so on, all into a single new probability. In learning, this allows an algorithmic system to continue to update predictions and recommendations for students and content configuration over time. Interestingly, this often reduces the probability as intuition, through cognitive bias, often exaggerates probabilities, through inadequate analysis. In addition to the use of Bayesian data analysis is the use of a Bayesian network. This is a model that has ‘known’ and ‘unknown’ probabilities from, say student data, behaviour and performance. The network has nodes with variables (known and unknown) and algorithms can both make decisions and even learn within these networks. It’s basically the application of Bayes theorem to solve complex problems, such as the optimal path for personalised learning. The network will therefore recommend the optimal content going forward. Enter another important name Andrey Markov, a Russian mathematician who introduced the Markov network. Whereas a Bayesian network is directed and not cyclic, a Markov network is undirected and can be cyclic. Markov models can be used to determine what the learner gets as they attempt a course based on previous behaviours. You may be unaware, for example, that these techniques are already used to present you with a different web page from others from major providers. Quite separately, Corbett introduced a Bayesian knowledge-tracing algorithm, directly into the learning field, which is more directly associated with data mining, from, for example, learning management systems, which produce large amounts of data about learner behaviour. This can be used to come to a conclusion and make a decision about what is needed next. Note that all of these approaches (and there are many more) are very different from rule-based adaptive systems. The difference between these systems is explained well in this paper by Jim Thompson. Algorithms are blind to the sort of social biases (gender, race, colour, age, ethnicity, religion, accent, social background) we commonly see, not only in society through sexism, racism and snobbery but also in teaching, where social biases are not uncommon. In education, it is useful to distinguish between subtle and blatant biases, in that the teacher may be perceived to be unbiased and not be aware of their own biases. We know, for example, that gender bias has a strong effect on subject choice and that both gender and race affect teacher feedback. Algorithms can be free of such social biases. Cognitive biases around ability versus effort, made clear by the likes of Carol Dweck on fixed versus growth mindsets, clearly affect teacher and learner behaviour leading to self-fulfilling predictions on student attainment. Considerable bias in marking and grades has also been evidenced. There may also be ingrained theories and practices that are out of date and now disproven, such as learning styles, that heavily influence teaching. Algorithms, build on sound theory and practice, can, over time, based on actual evidence, try to eliminate such biases. To teach is human and teacher performance is variable. That is not a criticism of teachers but an observation about human nature and behaviour. Algorithmic behaviour is only variable in the sense that it uses variables. Algorithms are at the top of their game (albeit limited) 24/7/365. Of course, one could argue that the affective, emotional side of learning is not always provided by algorithmic learning. That is true but good design in can ensure that it is a feature of delivery. Sentiment or emitional analysis by machine learning is making good progress. So even here, algorithmic techniques around gesture recognition, attention and emotion are being researched and built. Seems like a bold claim, but the number of variables, and sheer formulaic power of an ensemble of algorithms, in many areas, is well beyond the capability of the brain. In addition, the data feeds and data mining opportunities, as well as consistent and correct delivery of content may also be beyond the capability of many teachers. The problem is that most teaching is not one-to-one and therefore those tacit skills are difficult to apply to different classes of learners, the norm in educational and training institutions. For the moment there are many tacit skills in teachers that algorithms have not captured. That has to be recognised but that is not a reason for stopping, only a reason for driving forward. We will see every more sophiticated analsysis of cognitive behaviour, where the sheer number of gognitive misconceptions and problems cannot be identified by a teacher but can by careful AI analysis. A group of learners can be represented by a distribution curve. Yet suppose we use a system that is sensitive not just to the bulk of learners but also the leading and trailing tail? Algorithms treat the learners as an individual and personalise the learning journey for that learner. You are, essentially streaming into streams of one. The consequence is the right route for each individual that leads to learning at the speed of ability at any given time. The promise is that learners get through courses quicker. More than this, Bloom in his famous 2-Sigma paper, shwoed the significant advantage of one-to-one teaching over other forms of instruction. We now have the opportunity to deliver on this researched promise. We already have evidence that this can be achieved on scale. Slower learners do not get left behind in adaptive, AI-driven systems or suffer catastrophic failure, often in a final summative exam when it is too late, because the system brings them along at a speed that suits them. The UK University system has a 16% dropout rate and this is much higher in the US. In schools a considerbale number of students fail to achieve even modest levels of attainment. This approach could can lower drop-out, something that has critical personal, social and financial consequences. Such systems can produce reports that really do match personal attainment, through personal feedback for the learner than informs their motivation and progress through a course. Rather than standard feedback and remedial loops, the learner can feel as though they really are being tutored, as the feedback is detailed and the learning journey finessed to their personal needs. Teachers also have a lot to gain from feedback out of such systems. Early evidence suggests that good teachers in combination with such systems, produce great results. Teachers need to learn, though many would question the efficacy of INSET days or current models of rushed or absent CPD. Algorithmic systems also learn. It is a mathematical feature of machine learning that the system gets better the more students that take the course. We must be careful about exaggerated claims in this area but it is an area of intense research and development. We are now at a level where adaptive systems themselves adapt, as more and more students go through the system, It is this ability to constantly and relentlessly learn and improve that may, ultimately take AI beyond the ability of teachers to constantly adapt. Courses are often repeated, without a great deal of reflection on their weaknesses, even inaccuracies. Many studies of textbooks have shown that they are strewn with mistakes. The same is true of exams and high-satkes assessment. Adaptive, algorithmic systems can be designed to automatically identify erroneous questions, weak spots, good resources even optimal paths through a network of learning possibilities. They may even be able to identify cheating. We have seen many examples of data analsis being used to identify teacher and student cheating. One further possibility is in courses that are semi-porous, where learners use an external resource, say a Wikipedia page or video, and find it useful, thereby raising its ranking in the network of available options for future learners. This is true with systems like WildFire. Humans are not scalable but algorithms are massively scalable. We have already seen how Google, Facebook, Amazon, Netflix, retailers and many other services use algorithmic power to help you make better decisions and these operate at the level of billions of users. In other words there is no real limit to their scalability. If we can apply that personalisation of learning on a massive scale, education could break free of its heavy cost burden. The algorithmic, adaptive approach to learning promises to provide things that live teachers cannot and could never deliver. All of the above is being realised through organisations like CogBooks, who have built adaptive, algorithmic systems. This is important, as we cannot get fixated by the oft repeated mantra that face-to-face teaching is always a necessary condition for learning - it is not. Neither should we simply stop at the point of seeing technology as merely something to be used by a teacher in a classroom. It can, but it can be more than this. This approach to technology-based learning could be a massive breakthrough in terms of learning outcomes for millions of learners. It already operates in the learning sphere, through search, perhaps the most profound pedagogic change we have seen in the last century. For me, it is only a matter of when it will be used in more formal learning environments.